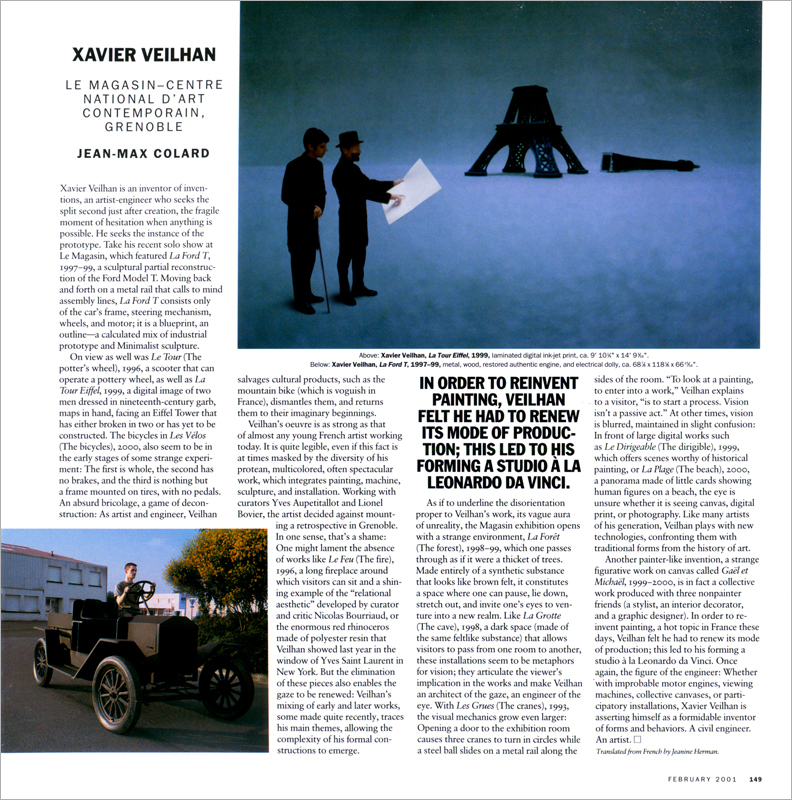 Xavier Veilhan is an inventor of inventions, an artist-engineer who seeks the split second just after creation, the fragile moment of hesitation when anything is possible. He seeks the instance of the prototype. Take his recent solo show at Le Magasin, which featured La Ford T, 1997–99, a sculptural pad reconstruction of the Ford Model T. Moving back and forth on a metal rad that calls to mind assembly lines, La Ford T consists only of the car’s frame, steering mechanism, wheels, and motor; it is a blueprint, an outline—a calculated mix of industrial prototype and Minimalist sculpture.